The start of summer in Wisconsin has been off to a slow start in terms of really hot temperatures. Don’t get me wrong, I am not complaining. I would much rather have a 78 degree day over a 94 degree day, any time of the year. The perfect temperatures have not stopped my kids from running around outside all day, whether they are taking long bike rides, or going fishing, or just running around the yard playing tag, and well, I’m all for that. When they come running through the door, they all need something, whether that is a cold drink, a cup of ice, or what they are all after, a snow cone. I purchased a snow cone maker last year, I believe, from Target, and one very similar to this one. It was on clearance, and as I was skeptical that this would fall apart after a few uses, I figured those few uses would really excite the kids. To this day, we have probably made well over 300 snow cones, typically filled with fruit juices, well, up until recently. Lately I have been making a sour mixture that was recommended by one of my colleagues at work. It is basically a simple syrup with about a cup of lime juice, and half a cup of lemon juice, both which are strained before going into the cooled syrup. I tried that out on my kids and they were in heaven. It had the perfect balance between sweet and tart. 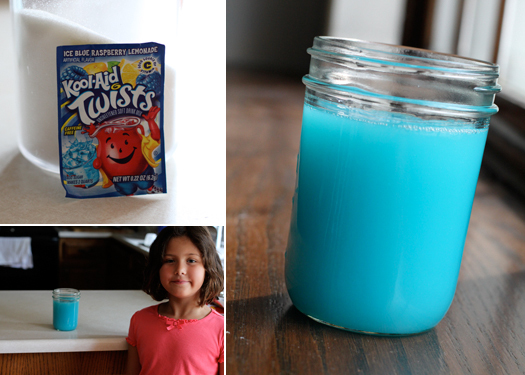 What if, just what if, I took that same concept of simple syrup and added a packet of Kool-Aid? 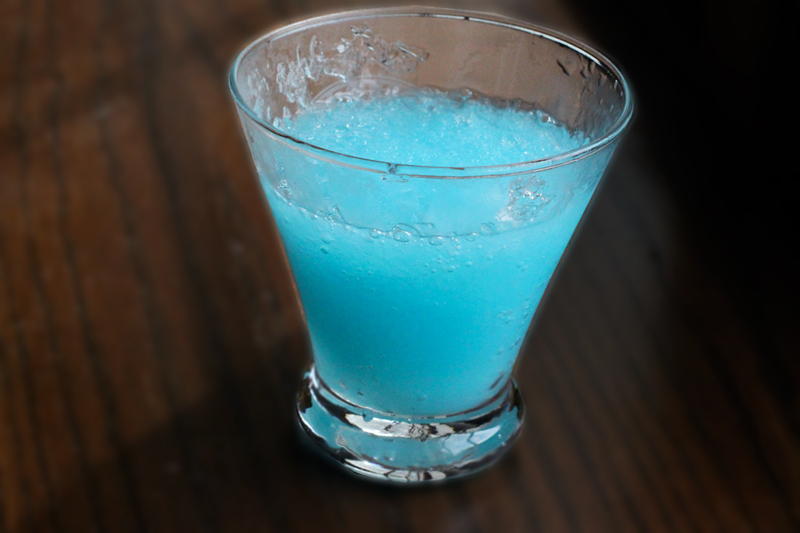 I made a batch, and well, let’s just say it was spot on and a perfect snow cone syrup. Begin by adding the sugar and water to a saucepan. Bring this to a medium heat, and cook to melt away all of the sugar, about 7 minutes or so. Once all of the sugar is melted, remove from the heat. Add in the packet of Kool-Aid. My daughter decided to pick Ice Blue Raspberry Lemonade. Mix well, and let cool before using. When you are ready to make the snow cone, shave the ice, and add them into your glass, or snow cone holder. Spoon in the cooled syrup until all of the shaved ice is covered. Serve with a spoon or straw, and you have yourself one heck of a refreshing snow cone, and one with enough sugar that will keep your kids charged for quiet some time.